A performance and sculpture work on memories and transformation. 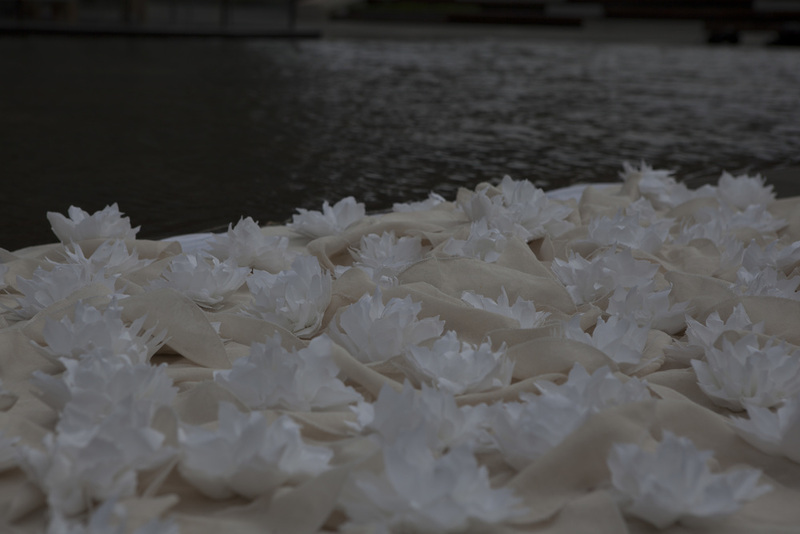 Participants are invited to join the artist in releasing over 100 handmade lotus sculptures into a pond. It’s a cathartic gesture as the lotus floats away before sinking. The lotus flowers are then retrieved and left to dry. 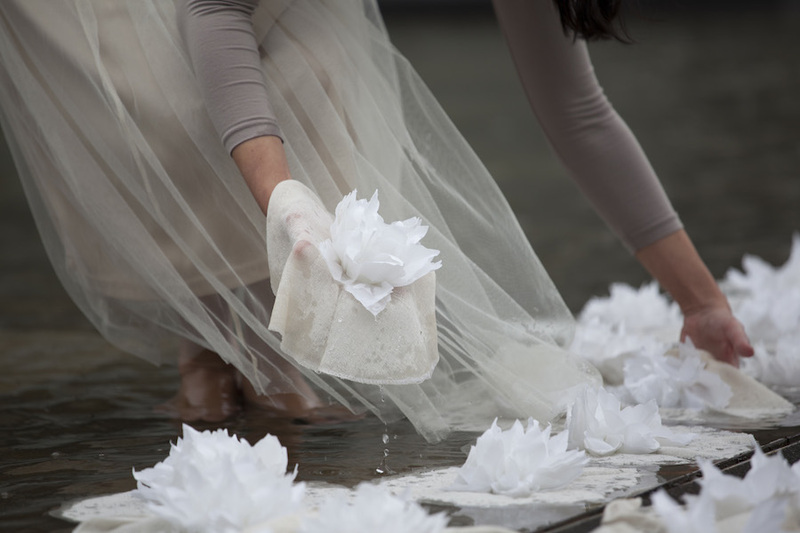 Hardy and resilient, the wet lotus flowers will ‘bloom’ again as they dry out – signifying the idea of renewal. Reflection alludes to both the act of meditation as well as that of a mirroring image. While the symbolism of the lotus flower stems from Chinese culture, the message of spiritual renewal is universal. This work was first performed and exhibited while on residency at the Inside-Out Art Museum in Beijing, China.